Morning everyone. Hope we are are feeling better. Sorry if it offends anyone but I no covering to speak off. My temp is -3.1 outside. Look icy. Wouldn't like to have to de-ice a car this morning. whoops I've said too much. As your probably all aware I’m right on the coast I’ve heard that it’s dropped south tomorrow is that better for me??? It does look like that, so hopefully us coasters will have a better chance than last night. Fingers crossed. In other news travelling on the train, snow line starts around just north of Battle. 2-3cm or so at Stonegate (on cars, not roads or pavements). Imagine Heathfield / Crowbrough and other favoured spots did ok with elevation and away from the sea! Bah why did I insist on sea views. But the uppers are about the same as Tuesday evenings at around -6, maybe the easterly flow might make it more conducive to snow than the SE’ we saw yesterday. Unfortunately it was a sw. Here anyway. Se would have been fine. 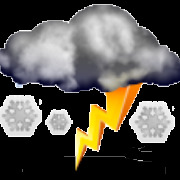 Beeb has now taken away the snow icon for me tomorrow. In fact it's suggesting no more snow at all. Thoughts on how ICON has done, it had a more southerly option at T96 and was considered perhaps at that stage an outside chance. Seems to have done quite well for past 2 events. It's funny how the MO one symbol summary for tomorrow is just white cloud, but you look at the detail at it gives 8/10 hours of snow! Yes, still marginal right at the coast but much better chance of snow than there was yesterday. My close proximity to the Thames scuppered my chances last night, by the time the temps dropped inc dew points the moisture had run out. Only 5m ASL so systems from the east are better for my locale. However tomo looks a lot better chance as we are already in the cold. While I'm waiting for the 00z ECM run to roll out, thought I'd play about with some more Family photos!! I'm sorry to hear about your son. I hope he's doing as well as can be expected. When I lived in S Essex in marginal setups it would be common to get snow but not settle. About 10 miles inland and the ground would be white with snow! A slight covering of a cm on most surfaces, everything frozen solid, excellent seeing reports and pics from the region, far from a bust, on to the next. Thank you FLW!! 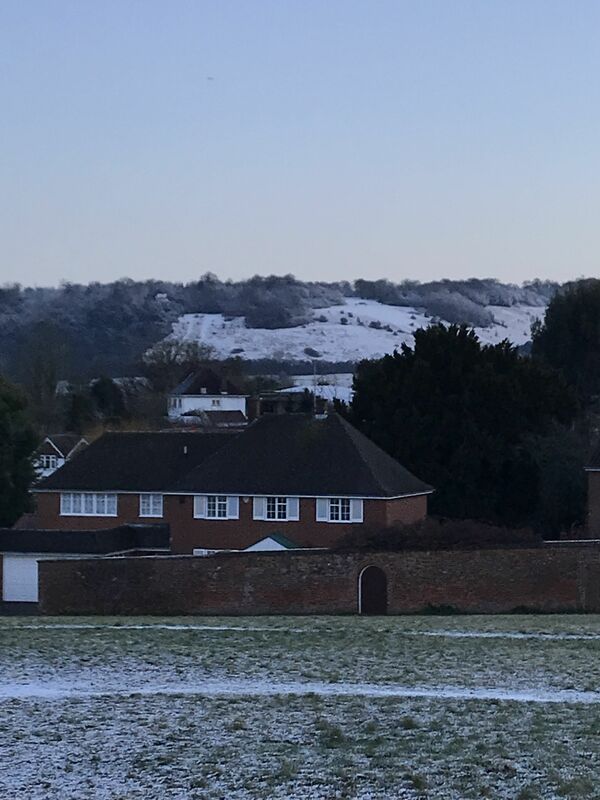 Snow starting to settle here in Ashtead so have higher hopes for Boxhill! More snow up on Box Hill than down here at 60 metres above sea level! We do have snow on hills, and cars. A bit less down here then last time though. Pavements have no snow this time. In Norwich we awoke to snow on cars and rooftops but roads and paths appear at best slushy but mostly just wet but I fear it's going to be ice. Anyway first sticking snow of winter here. Very slight dusting here in Ipswich too far east in these set ups despite what some models were projecting. Southern counties and Kent look great again for Thursday but not expecting anything here - geographically hamstrung again! Hopefully there’ll be more chances left this winter but was nice to snow falling after a long long wait! Still evidence of a dusting here. Wrt Thursday, most models now keep the heaviest precipitation to the south and west of NW London, albeit still a few cms. At least it's more likely to now stick around a bit longer rather than melt Friday morning! Beeb forecast for the Isle of Wight looks disappointing (yet again). My thoughts are allready turning towards spring time and warmth. Been another frustrating winter. UKMO has tomorrows system in a similar position as the ECM though the area of heavier precip stretchs further north a little, to the north of M4 before quite a quick weakening. Surrey- where about are you mate?